Car Loan is a kind of loan ACLEDA Bank Lao offers to customer who has a regular income to get a car for personal or family use. 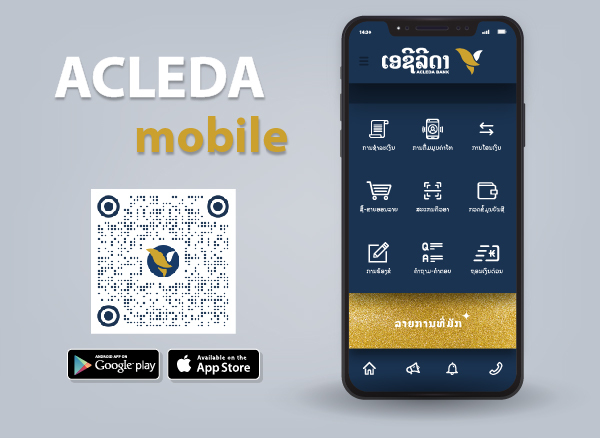 ACLEDA Bank Lao offers car loan in Lao Kip, Thai Baht or US dollar. You can use this loan to buy a brand-new car or used car which is 10 years old or less from its producing year. You can enjoy loan period up to 5 years. You can get the loan amount up to LAK800,000,000 or USD100,000 or THB3,200,000.